For example: The disabling of bot networks and other suspicious accounts. Dorsey said Twitter challenges "10 million accounts every single week to see if they're automations or humans," and takes action accordingly. 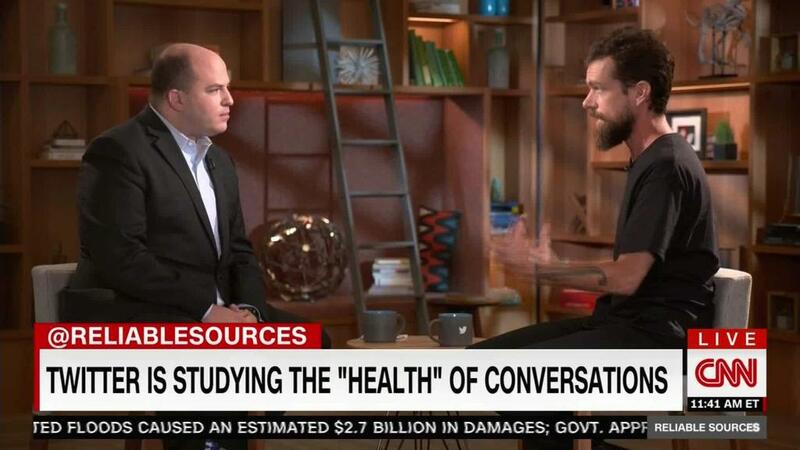 >> Listen to the the full interview with Twitter CEO Jack Dorsey on the "Reliable Sources" podcast. Check it out via Apple Podcasts, Stitcher or TuneIn.